Animal welfare. Why it's a financial (as well as ethical) decision. The idea that your money can potentially do harm is one which hasn’t necessarily occurred to many of us. Consider the implications, though. Perhaps you’re a health professional who hasn’t realised that your superannuation fund invests in tobacco production, or you’re a donor to a human rights organisation while your savings are invested in industries with systemic human rights abuses in their supply chains, or you’re a compassionate member of the public who has spent hours writing to your local MP to make your views on live animal export known without realising that your managed fund is invested in intensive factory farms. One of the benefits of our progressive financial system is the ability to align your superannuation and savings with your own personal values. However issues of social concern like animal cruelty do not solely represent an ethical challenge, they also represent a significant source of investment risk. While investment managers who have embedded environmental, social and governance (ESG) risk assessment methodologies in their investment decision-making now make up the majority of funds under management in Australia, there are many who have not as yet extended their ESG risk frameworks to incorporate animal welfare as a core risk. The Australian live sheep export industry is the perfect example of poor animal welfare management resulting in wealth destruction for direct stakeholders and support industries. 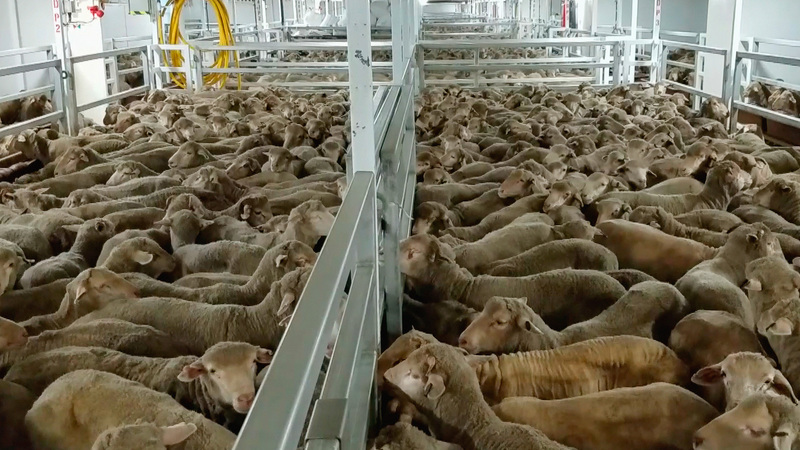 In April 2018, 60 Minutes aired an investigative report into the treatment of Australian sheep exported to the Middle East by private company Emanuel Exports, Australia’s largest exporter of live sheep responsible for 70% of the annual trade. The footage, taken by a brave whistleblower employed by Emanuel Exports as a navigator, was taken on board five separate shipments between May and November 2017 and showed thousands of sheep suffering severe heat stress; succumbing to heat stroke; sheep caked in melted faeces and urine; injured and sick animals left to die slow and painful deaths; severely decomposed bodies left in pens with living sheep; and pregnant ewes giving birth in squalid conditions, and their lambs dying. In total, over 4,000 sheep died during these five voyages, including 2,400 on one voyage from Fremantle to Qatar, Kuwait and the UAE in August 2017. Faced with the divulged truth of the export industry’s treatment of our sheep, industry groups attempted to downplay the incidents – but Australians were having none of it. It was later revealed that the Emanuel Exports group had been involved in 37 separate voyages since 2005 on which over 1,000 sheep had died on each shipment. - a government-established review conducted by senior public servant Philip Moss AM into the capability and culture of the Department of Agriculture as regulator of the live export trade released its report in November 2018. The report was damning, noting the Department of Agriculture lacked the skills and resources for effective regulation, department staff told the review there was little point in raising concerns about exporters as they would not be well received or fairly considered, and sections of the live animal export industry had failed to adhere to the existing standards or give priority to animal welfare. - the Federal Labor party has formally adopted a policy to phase-out the live sheep export trade, which they have undertaken to implement if they are elected in 2019. These developments have occurred in a very short space of time and largely outside the control of industry participants and their representative bodies, evidencing the swift community response we have seen so often when industries refuse to address systemic animal welfare issues. It would be tempting to consider the live export industry to be an outlier in Australia in terms of ethical and investment risks associated with animal cruelty. In reality, the vast majority of animals in human care in Australia are not covered by the major protective provisions of our animal cruelty Acts. Livestock industries that are covered by a Code of Practice (including cattle, sheep, pigs and poultry) are exempt from prosecution if they cause pain or suffering to animals that would otherwise be considered prosecutable under state animal protection laws if it was inflicted on a dog or cat. This legal ‘double-standard’ enables hens and pigs in Australia to be forced to endure severe confinement in battery cages and farrowing crates. It also means farmed animals can be subjected to painful surgical procedures such as mulesing, dehorning, tail docking and castration, without any pain relief. As an organisation prioritising the humane treatment of farmed animals, Animals Australia will continue to publicly highlight the key issues of concern and the role individuals and organisations can play in driving meaningful change for animals in these industries. If you’re concerned about the ethical or investment risk implications of investments in animal industries, ask your bank, super fund, Kiwisaver provider or managed fund provider what their policy approach is to animal welfare. Looking to grow your money responsibly? Find superannuation, banking, KiwiSaver or investment products that match your values and interests. Tim Vasudeva is Director of Corporate Affairs with Animals Australia. 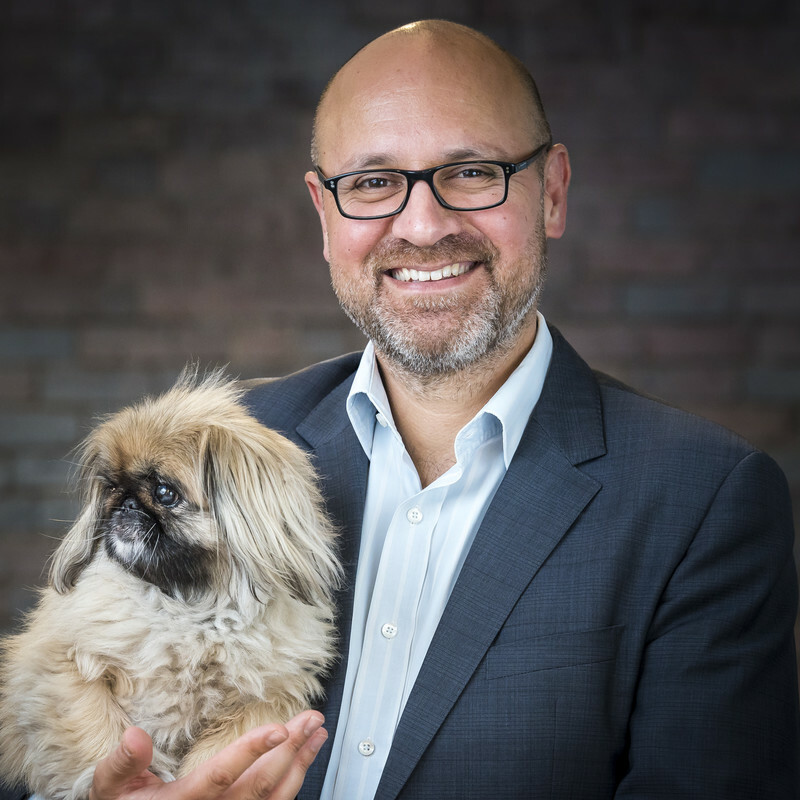 Having worked for 20 years in commodity markets, including 10 years with Commonwealth Bank and Macquarie Bank, Tim has worked in animal welfare for the past 10 years most recently as CEO of RSPCA South Australia. Animals Australia is Australia's foremost national animal protection organisation. The organisation represents some 30 member groups and over 2 million individual supporters. Animals Australia, along with its global arm, Animals International, has a track record in investigating and exposing animal cruelty and for conducting world-first strategic public awareness campaigns.